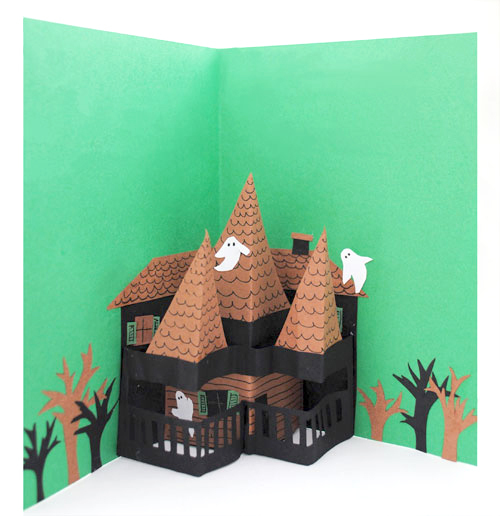 I can not take credit for this fantastic pop up haunted house card, it all goes to Chicago Teen. 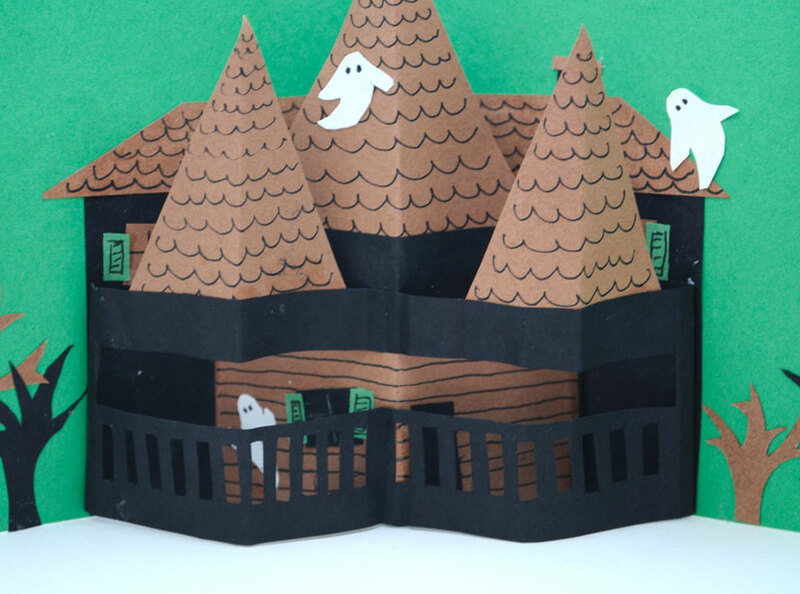 She decided she’d like to have a Halloween party this year so has been busy planning it…check out the Halloween board she has created on Pinterest. Now I have to say she never does anything by halves and when it came to creating an invitation only something fabulous would do. With a friend they made a whole bundle…it took a long time I can tell you! But I do have permission from her to share with you how to make one of your own …and I have even created a free template to make it a bit easier. 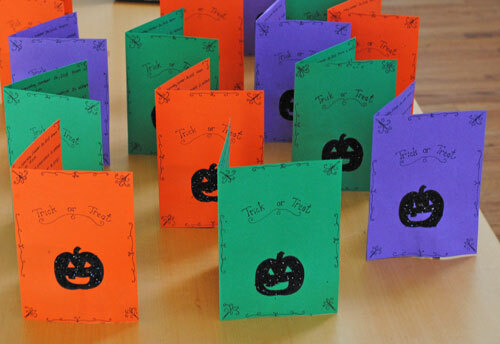 Construction paper in a selection of colors. 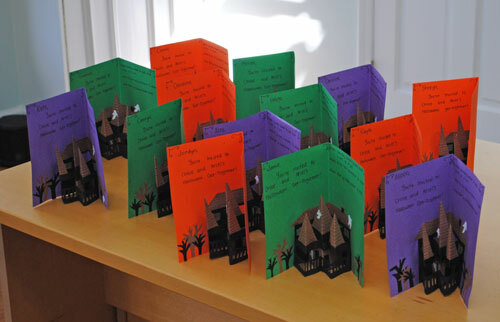 We used and black, brown, green and white paper to construct the pop up house. Start by downloading and printing this template. You can embellish the windows, shutters and roof with a black pen ..squiggles to represent tiles on the roof, a cross for the windows and some horizontal lines for the shutters. 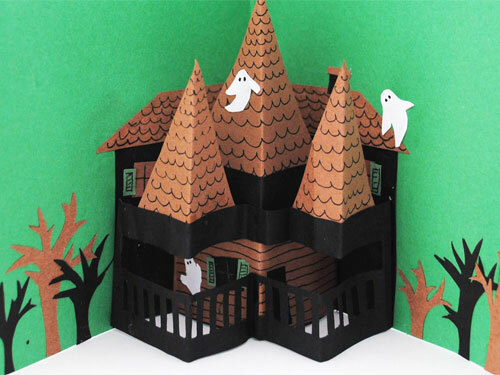 This entry was posted in Celebrate in Style, Craft Projects, FREE, Halloween, Holiday Projects, Paper, Printables, Teenager. Bookmark the permalink. ← Geometric Coloring Sheets – a stress buster! So cool! I like the pop up and the random ghosts. Creative! I think this is super creative! Great job! SUPER CREATIVE! I MAY TRY ONE FOR MY FRIEND'S BIRTHDAY, ON OCT.31. You are so creative-I'm your new follower! Love it.. Im going to try it..Thanks for share !